It looks as if the first two episodes of Season 3 of Silicon Valley are available to watch early, before it starts being shown on Sky Atlantic next week. Episode 10 of Houdini and Doyle (the last ep of the first season) is available to watch before it's broadcast on ITV Encore next week. Episode 1 of Craig Cash's new sitcom Rovers is available to preview before it starts next week on Sky1. The first episode of Outcast (the new series from the creators of The Walking Dead) is now available to preview. The series starts on June 7th exclusively on Fox, as the logo in the corner oh-so-helpfully informs us. 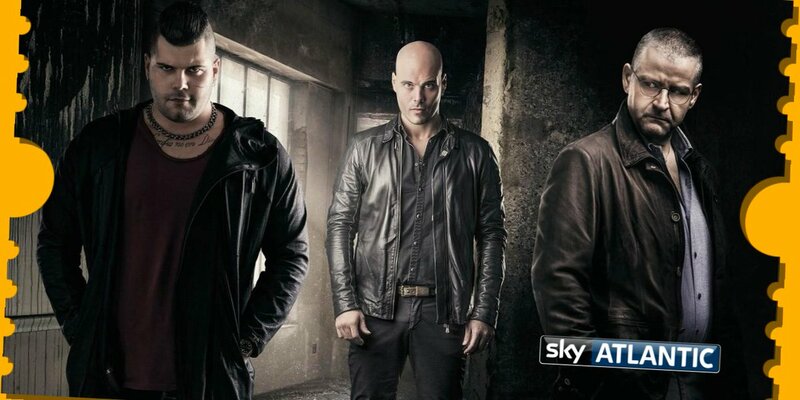 Banshee Season 4 started last night on Sky Atlantic. But you can binge the entire season right now! @pethead65 I have not watched it myself. I might try it when the series proper starts. Episode 1 of The Catch is available to preview before it's broadcast tonight on Sky Living.